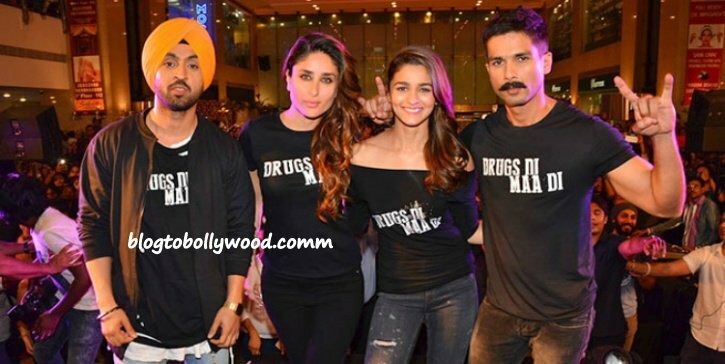 Udta Punjab 2nd day Collection: Udta Punjab witnessed good growth on its 1st Saturday, collected 11.25 crores. Abhishek Choubey’s Udta Punjab is having a good run at the Indian Box Office. After a good opening day with the collection of 10.05 crores, the movie witnessed solid growth on Saturday. Udta Punjab collected 11.25 crores on Saturday and now stands with the total collection of 21.30 crores at the box office. The movie is performing exceptionally well in East Punjab and Delhi circuits. The performance of Udta Punjab in these circuits is better than big grossers of the year like Airlift, Fan and Baaghi. Backed up by good reviews and positive WOM, the movie is looking for a strong opening weekend of around 34 to 35 crores. Made on a budget of 45 crores, the movie is pretty much in a safe zone and should emerge as a decent hit.